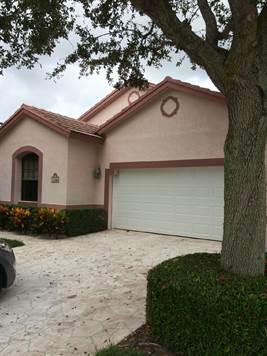 Wonderful pool home centrally located in Boynton Beach. This home features 2 bedrooms and a den/ office. The property has a fenced in yard with a private poo, new A/C, new hurricane impact garage door, vaulted ceiling, an eat in kitchen, tile and laminate in the main living areas. The community features a clubhouse with a pool and Tennis court.